Need to submit again a product as new products in your catalog? Use this module to change the creation date of your products and they appear as new ones in your shop. Modified products have an additional period for the "new" label on the site. 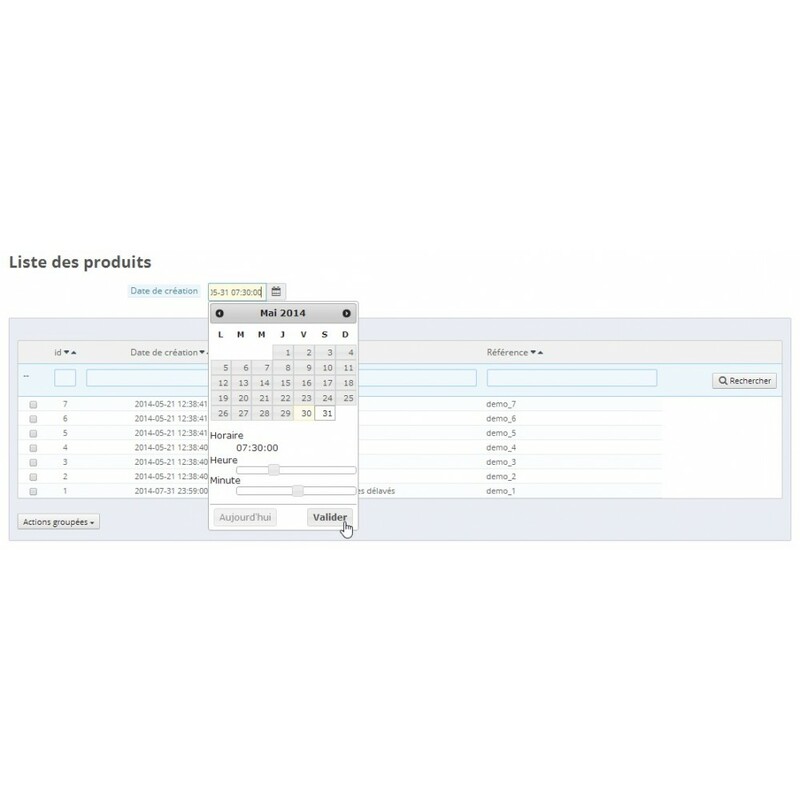 Products in the back office are marked as new for a sepcific period (set in the preferences of the shop). After this time they no longer appear in the new-products page and they no longer have the pictogram "new". With this module you can easily act on the created date of the product and make your product a novelty for a further period. No more need to create a new product when it is just an improvement of an existing product or a new color available. 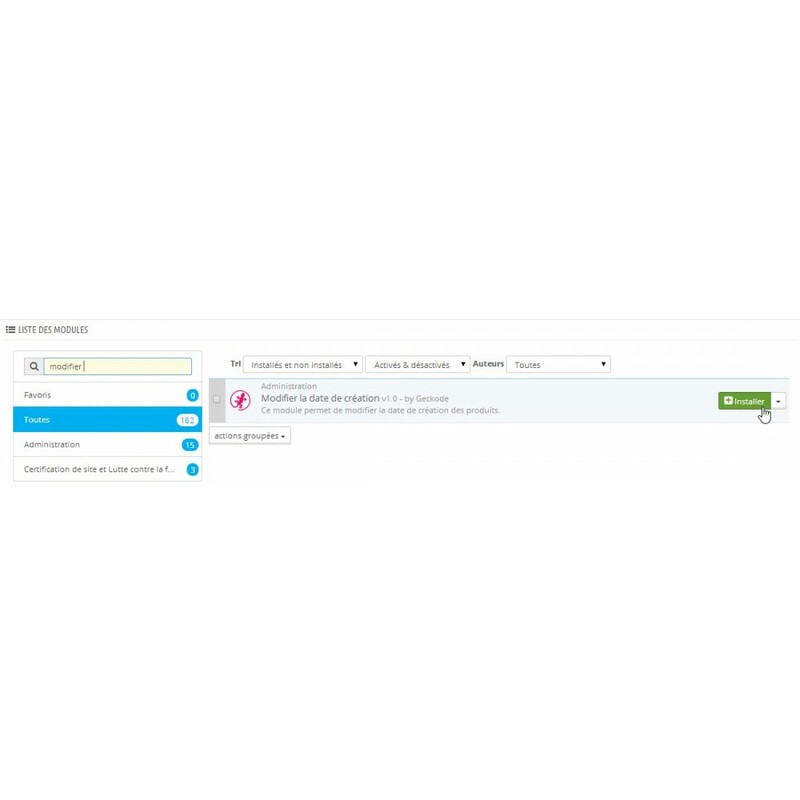 Simply change the creation date via the module and the product will be displayed again in the news product of your catalog. - Massive change via global module page that lists all the products of the catalogue and allows you to act on all the products you want at once. With this module, it is easier to highlight the novelty of your catalog: not only the latest products but also changes in your catalog. The customer is immediately alerted on improvements to your products and your offer.